New York Times Bestselling author Lin Stepp’s interest in writing started early in life. In the fourth grade, a teacher recognized Lin’s talent and encouraged her. In junior high and high school, she was tasked with editing the school newspaper. By her senior year, she was making plans to write and pursue a career teaching English. Then … life, college, marriage, and a family happened. It wasn’t until her children were grown that Lin returned to her dream of writing fiction. 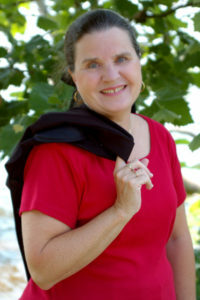 She completed the first two novels in her Smokies series in 2006. To date, she has published more than a dozen novels and two non-fiction books. Lin and her husband, J.L. live in East Tennessee near the Great Smoky Mountains. You have two books releasing this month. What is your writing routine like? How do you juggle two sets of characters and two plots at one time? I think I’ve always had a bit of a “two-track” mind … and I often have the ideas for several books wandering around in my mind at once. Are you a plotter or a planner? On the planner and panster scale … I would definitely be a “Planner.” Getting ready to write a book is like being pregnant to me, with months of time needed to plan out every aspect of that baby to come. As a new mother thinks about and plans for a baby, creates its room, decides on names, reads and researches about babies, I clarify my story concept and idea, create the characters and setting, research and make trips to the sites for my books, find pictures in magazines or online to represent my characters and scenes, and get everything ready. All the conflicts are artfully planned, the storyline designed, and a chapter-by-chapter outline of the book created before I start to write. I’ve visually “seen” everything in my mind and watched it come to life before I begin to “birth” or write a new story. I think I love both the planning and writing stages equally! I’ve needed to be flexible and to juggle book tasks, too, writing both fiction and nonfiction books … and teaching college twenty years while also working marketing jobs and helping with my husband J.L.’s business. J.L. and I are especially proud of our two nonfiction guidebooks The Afternoon Hiker, featuring descriptions of 110 trails with over 300 color photos, and our latest guidebook Discovering Tennessee State Parks. We visited all 56 state parks in Tennessee and our guidebook contains detailed descriptions of things to do and see in each park along with over 700 color illustrations. We had a blast doing these two books, and we’re starting a new guidebook this spring! Your new series is somewhat of a detour for you. What was the impetus for The Edisto Trilogy? 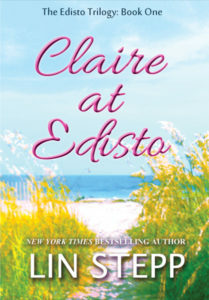 Please tell us about the first book in the series, Claire at Edisto (publishing April 2, 2019). Claire at Edisto and the Edisto Trilogy is a big detour for me, Kathy. To date I’ve written all my novels set around the Great Smoky Mountains. The twelve books of the Smoky Mountain series have all been stand-alone novels with each set in some new place around the mountains. … Claire at Edistois set at Edisto Island on the coast of South Carolina, on a little, less visited island about half way between Charleston and Beaufort. Edisto is the summer beach spot where our family has vacationed since the 1980s, so I decided it would be fun to take my readers on a little “vacation” to the beach with three books set at this lovely new locale. … So far my readers tell me they are excited about the new books — as long as I’ve promised to write more Smoky Mountain books, too! The first book in the beach trilogy is set in the 1980s when Edisto was quieter than it is today and when the island was reached over an old swing bridge. My main character has visited Edisto with her husband and two little girls for many summers, and when Claire Avery’s husband dies unexpectedly, she decides to go to the beach house, belonging to her brother-in-law, for a time to heal and grieve before starting a new chapter of her life. Of course that’s only the beginning of all sorts of new and unexpected adventures and changes for Claire before the book is finished … And the next two books pick up with Claire’s girls Mary Helen and Suki when grown. I think readers are really going to love these Lowcountry stories I’ve created, taking them to the South Carolina coast. Set against the alluring backdrop of coastal South Carolina, CLAIRE AT EDISTO takes the reader on a sweet and gentle journey showing that love and new beginnings can often bloom from the deepest sorrows. Standing in grief and shock at the grave of her young husband, Claire Avery wonders what she and her young daughters will do now. They live in the church parsonage they need to vacate. She hasn’t worked since her marriage twelve years ago. Old issues and complications hinder relationships with her family. Struggling for answers, Claire accepts her brother-in-law’s offer to stay at his beach house at Edisto to give her a season to heal and think. But even the peace and beauty of the coastal island bring new problems along with unexpected joys as Claire seeks to find her way. Parker Avery always promised his brother Charles he would look after Claire if anything happened to him. Charles stood by him three years ago when his wife Ann died and Parker is determined now to be a help to Claire and the girls. As time passes, instead of feeling like a hero, he feels like a heel instead as he realizes he’s developing feelings for his own brother’s widow. To make things worse, he watches with pain and jealousy as Miles Lawrence waltzes into Claire’s life. What can he expect though? It hardly seems right that Claire, even after a season of mourning, would ever fall in love with her own brother-in-law. Lin, you also released The Interlude this month. Please tell us a bit about it and what led to your writing this particular story. Into this story are woven several mysteries that gradually unfold, adding a little suspense and excitement along the way. 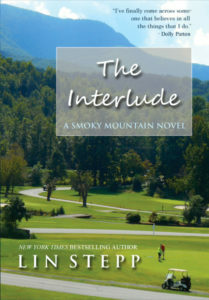 Also in this book are the problems both the main characters are struggling with … plus wonderful visits around the Smokies area — a hike on the Ramsay Cascade Trail, a visit to historic Emerts Cove covered bridge, an evening in Gatlinburg during the annual Fourth of July Parade and more to keep readers well entertained. Lucas James’ little five-year old daughter tends to be a scene stealer in this book and early readers are already saying they want to go and stay at Millhouse Resort for vacation and wish the resort, and the characters in the story, were all real. On one final note: Because this was the twelfth and final book in The Smoky Mountain series, readers who have been following my books and worrying this would be the last can relax. … The publishers are starting a new series The Mountain Home Books, with more wonderful mountain set books to come. The first Happy Valley publishes next spring in 2020 with many more to follow. Too much work, too much pressure, and too much heartache can lead even a strong young woman like Mallory Wingate to the edge of a nervous breakdown. Now her doctor and employer have insisted she take a space to heal and rest — so like it or not, she’s heading to her grandparents’ resort in the Smoky Mountains. Hoping to sleep and rest on the flight home, Mallory is entertained instead by an unexpectedly charismatic stranger, making her forget many of her problems and even making her feel deliciously female again. Do you have any book tours planned for this spring and summer? Our annual Book Launch party was held near the Smokies on Saturday, April 6, a few days after Pub Day, with food, entertainment, and fun, but there are still many more book stops to come at bookstores, festivals, book fairs, and other sites around the southeast. All are posted on my website at: www.linstepp.com under Appearances. I love to travel to meet my fans and to speak for literary fairs, workshops, libraries, book clubs, churches, and civic groups. Here are some of upcoming events on my book tour agenda with times, details, and site addresses on my website. In closing … I hope you will look for my new books at your local bookstore or online, and I hope you will also follow my Monthly Blog posts on my website each month — a nice chance to have a FREE read with photo illustrations every month. You can also follow me on social media. Thanks, Lin! It’s nice to have you back at Divine Detour. For more information about Lin, visit her website, on Facebook, on her Facebook Author Page, and on Twitter.